As per the State of Global Air 2019, overall long-term exposure to outdoor and indoor air pollution contributed to almost 5 million deaths from stroke, diabetes, heart attack, lung cancer, and chronic lung disease in 2017. Toxic air will shorten children's lives by nearly two years and will have the greatest impact in South Asia, according to a special report on global exposure to air pollution and its disease burden, published by the US-based Health Effects Institute. The study said the deaths were caused by long-term exposure to outdoor and indoor air pollution. 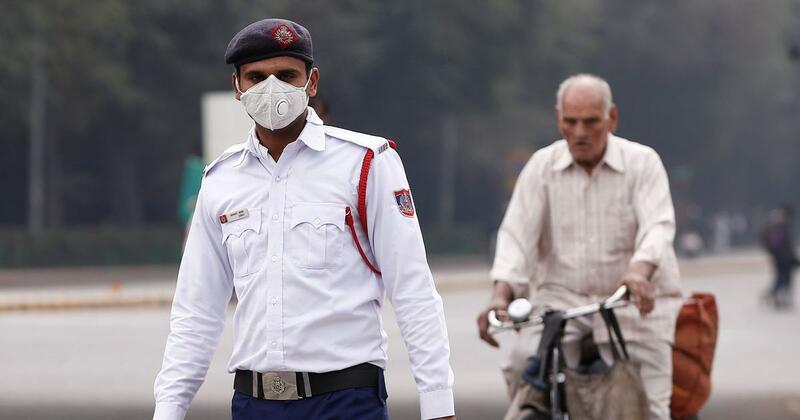 "Each year, more people die from air pollution-related disease than from road traffic injuries or malaria", it said. TL;DR A new report concerning the state of air and pollution has confirmed that the average lifespan has been shortened, with children born today losing about 20 months off their lifespan. In 2017, India recorded 6,73,000 deaths and a loss of 21.3 million disability adjusted life years (DALYs) due to long term exposure to ambient air pollution less than the minimal level, whereas 8,52,000 Chinese died of it the same year and had 19.8 million DALYs. The report said one of the success stories of the past year had been China, which although it still had severe air pollution problems had seen a drop in PM 2.5 particulates due to strict new governmental controls. A Supreme Court order in January previous year had directed authorities to immediately curb air pollution and effectively implement national standards of vehicle emissions and ensure air quality standards in the spirit of the constitution but there has been no government action. Alastair Harper, the head of campaigns and advocacy at Unicef UK, which has warned repeatedly of the threat to children's health, said: "This adds to a bleak picture of how polluted air impacts the health of society's most vulnerable groups, particularly children". While around 82% of the disease burden attributable to air pollution stems from chronic non-communicable diseases, it also contributes to communicable disease. "These and future initiatives have the potential, if fully implemented as part of a sustained commitment to air quality, to result in significant health benefits in coming years", Health Effects Institute Vice President Robert O'Keefe said in a statement to IANS. India has another unique concern with regard to air pollution - a large population in the country still uses the old-school method of burning solid fuels like coal, wood, charcoal, dung, and other forms of biomass to cook food, and heat and light their houses. Mick Jagger of the Rolling Stones was reportedly in great health following heart surgery in New York City on Thursday. The Stones are said to be looking at dates in July to reschedule their 2019 " No Filter " tour of North America. Joining the Bubbles is a foldables emulator that enables developers to build Android Q apps for devices that feature two displays. At that time, the company said support for Duplex would be coming to phones other than Pixels, but didn't specify exactly when. T-Mobile's video efforts are heating up, and a new deal with Viacom sheds some light on the company's plans. T-Mobile's TV game will play at home and on the road. The latter is one of the examples of an " easter egg " Google has added to the exciting new feature. However, as expected, you can't have Legend answer all your basic questions and requests. And much like the P30, the budget P30 Lite features a 32-megapixel selfie camera in the tiny dewdrop notch around the front . Huawei teased later on that the P30 series of phones would be launched in mid April and now we have a confirmation date. Brigitte Thibault, the only Canadian in the field, had a disappointing opening round, shooting a seven over par 79, and is tied for 59th.